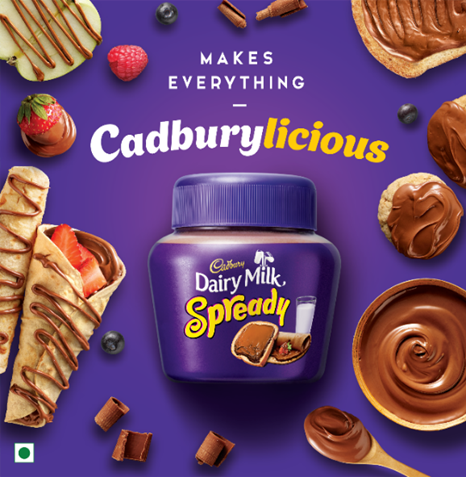 New Delhi: Mondelez India today announced its foray into the fast-growing Spreads Category, with the launch of new Cadbury Dairy Milk Spready. This made-in-India innovation brings India’s much-loved Cadbury Dairy Milk into a delicious spread format thereby expanding into a new category. With this launch, India’s favorite chocolate brand – Cadbury Dairy Milk enters the kitchen consumption segment, transforming mundane everyday snacks into tasty, tempting and indulgent experiences. Commenting on the launch of Cadbury Dairy Milk Spready, Anil Viswanathan, Director – Marketing (Chocolates), Mondelez India said, “Chocolate Spreads is a strategically important adjacent category witnessing fast retail value growth over the past few years. With our tremendous equity in chocolate, we believe this is an opportune time for Mondelez India to foray into this category. 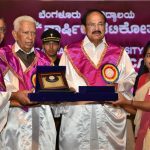 This format enables us to enter into our consumers’ homes and their kitchens and be a part of their in-home consumption experiences. It is ideal for simple snacking occasions or can be used as an ingredient for baking by home chefs. We want to be the first taste of chocolate for consumers in every format. At a competitive price point, consumers can now enjoy the alluring taste of Cadbury Dairy Milk in a format that complements their meals, snacks and desserts. “We are also delighted to be partnering with Zeba Kohli to launch our very special Cadbury Chocolate Cookbook which has 70 recipes where Cadbury Dairy Milk Spready and our other products can be used in innovative recipes,” he added. The launch of Cadbury Dairy Milk Spready will be supported with an extensive digital campaign, designed to highlight the versatility of the product and how consumers can make everything #Cadburylicious. Cadbury Dairy Milk Spready is available at all modern trade outlets and e-tailers like Amazon, Flipkart and Big Basket at INR 200 for 200 gms. To support this launch and to celebrate Cadbury’s 70th anniversary in India, the company unveiled the Cadbury Chocolate Cookbook, in association with renowned chocolatier Zeba Kohli. Filled with 70 tempting recipes like Cadbury Dairy Milk Brownies, Bournville Chocolate Sorbet, Bournvita Fudge, Oreo Chocolate Cheesecake, Cadbury Spready S’mores Cookies etc., this comprehensive cookbook is packed with delicious ideas to make everything #Cadburylicious. Full-colour photographs and illustrations that detail trickier steps are accompanied by easy-to-follow instructions and handy tips, making this an ideal resource for kitchen novices and more experienced cooks alike. To launch the Cookbook, prominent food influencers were brought together on board for a bake-off session. The Cadbury Chocolate Cookbook is also available on www.cadburygifting.in and Amazon for Rs 1200.